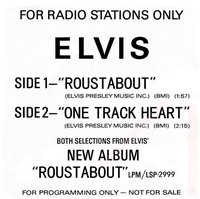 Cover: picture sleeve front and back.4. This is an undocumented sleeve. 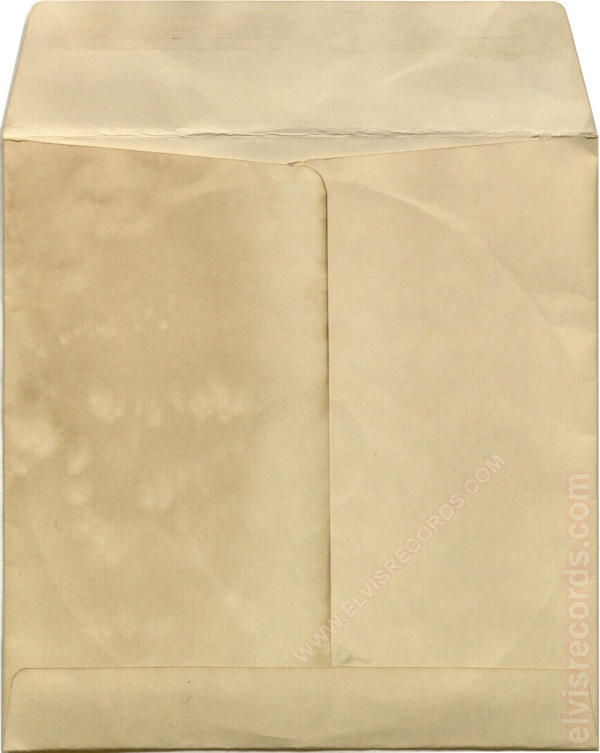 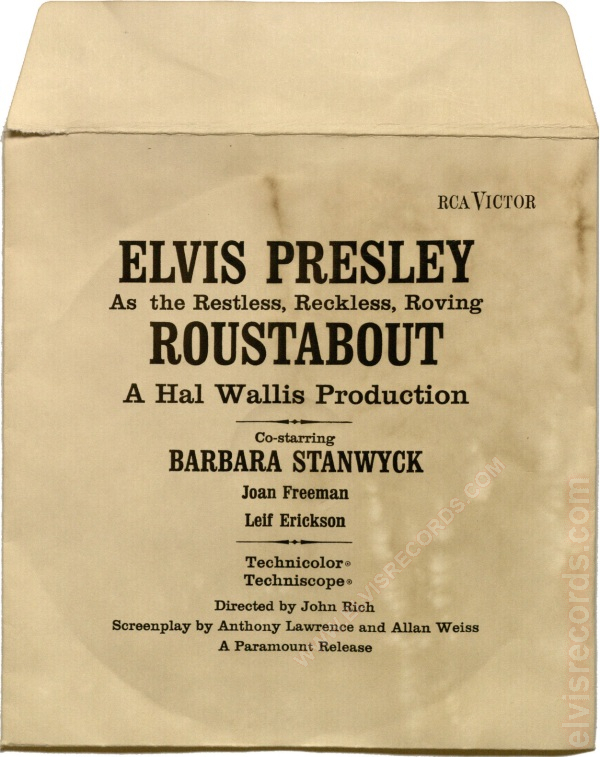 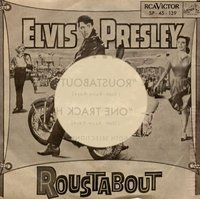 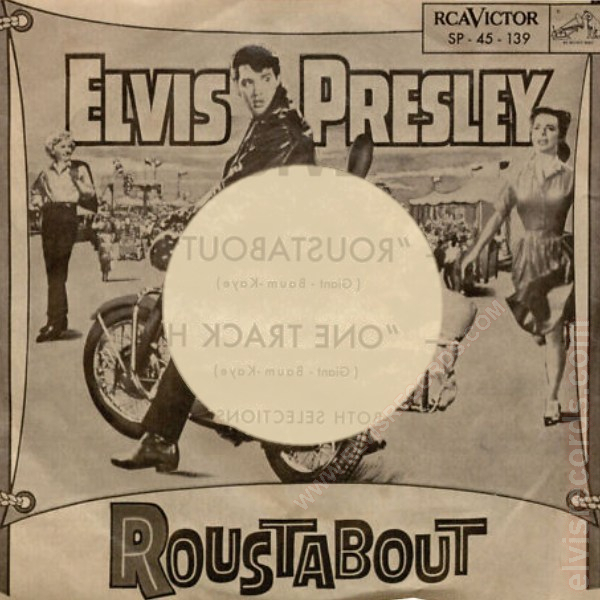 There are a couple examples of this sleeve in varying conditions, of image quality, paper quality and text placement that may be found on Popsike, which should put into question the legitimacy of any example. 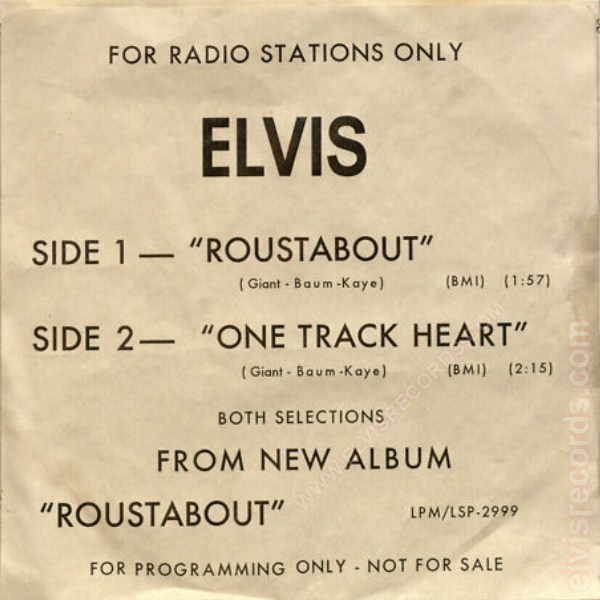 Here are at least five observations that I find wrong with this picture sleeve: (1) Sleeves of this era have 45 RPM above the catalog number; (2) The RCA Victor box is not properly proportioned, incorrectly spaced, and is cut off of the sleeve; (3) RCA Victor is too tight; (4) A Hal Wallis Production is omitted, however shows on all other Roustabout material and other movie releases; (5) There is NO way, that RCA would put a large hole over the image of Elvis; and, (6) If there is a specific envelope with text for this release that housed a generic RCA sleeve and record, then why would there also be a printed sleeve? Cover: picture sleeve front and back. 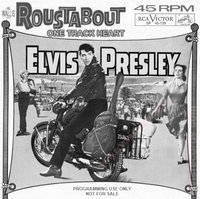 One in color another in black and white. 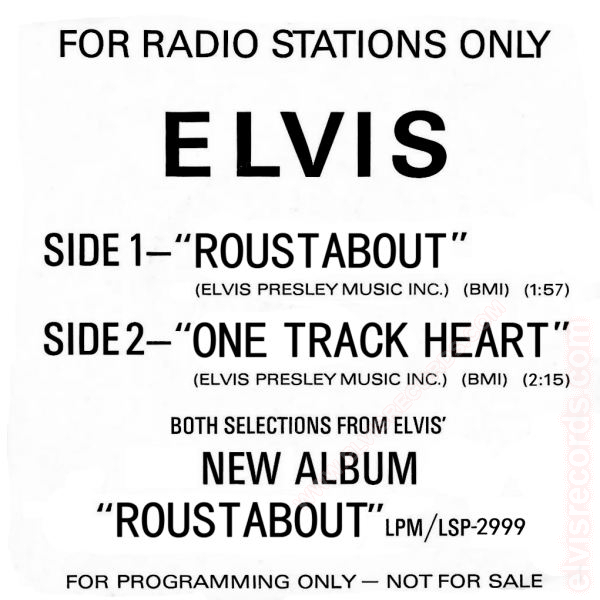 My interpretation of a more logical sleeve, based on the characteristics outlined in the notes above. This is compared to and based on SP-45-162, SP-45-118, SP-45-76, and regular issues of that era. 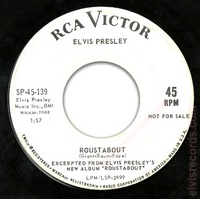 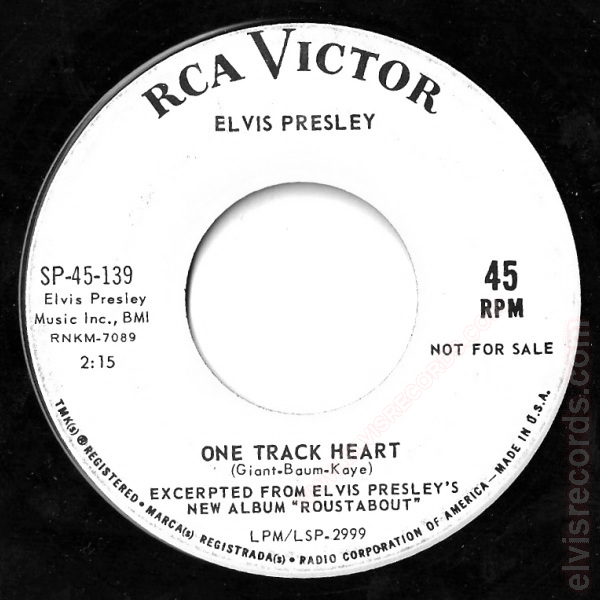 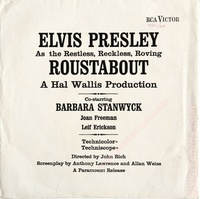 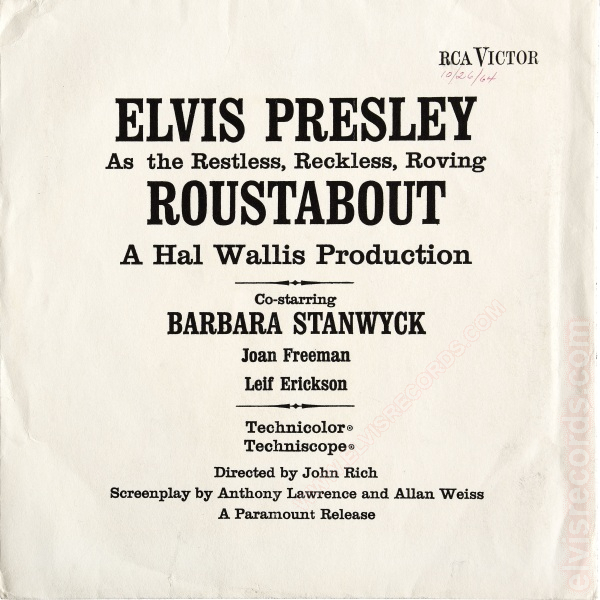 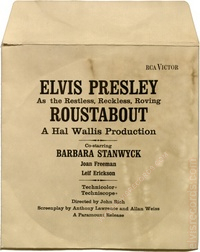 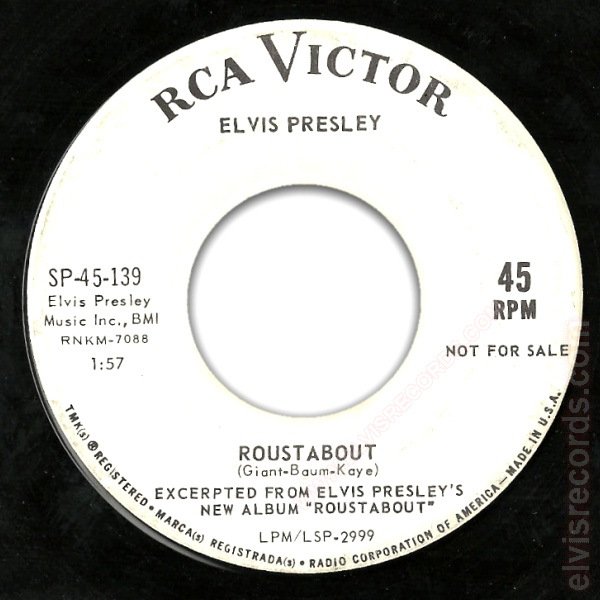 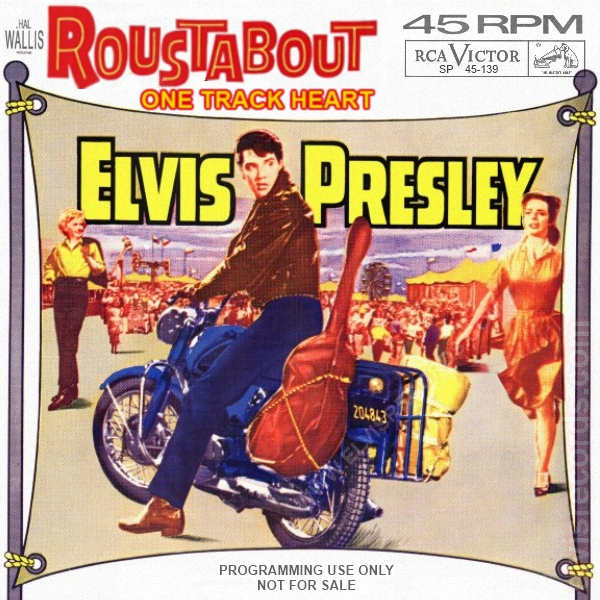 Sleeve: Originally issued in generic RCA sleeve.